Hey y’all! 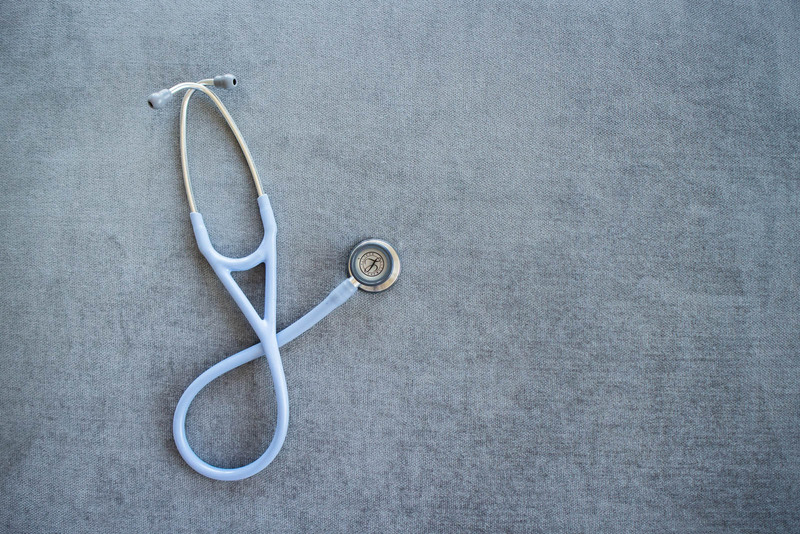 It’s been way too long since I’ve written a medical-related post and lately I’ve had some requests to talk about some of the aspects of my job as an urgent care PA. I originally started my blog in PA school but since graduation, it has transitioned into a space where I can talk about other passions of mine like fashion, travel and home decor. While sharing a lot of medical posts in school was fitting, it has been nice to write about other topics because I talk about medicine every day at my job. That being said, “medicine” is in my blog name after all so I will still try to share occasional blog updates with you guys and if you have any PA-specific posts you’d like to see, let me know in the comments! 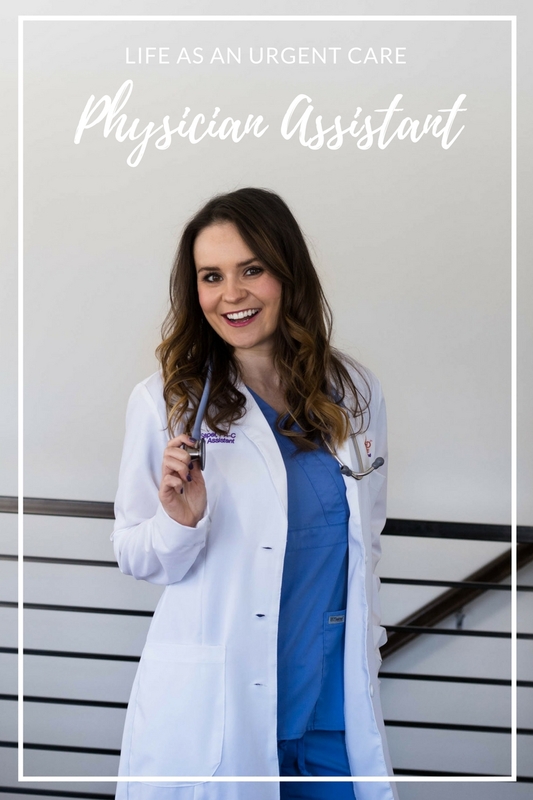 I would say most people know what a PA is by now but in case you don’t, physician assistants are licensed medical professionals trained to clinically evaluate, diagnose and treat patients in various healthcare settings. After getting a bachelor’s degree, PA school is an additional 2-3 years of school and clinical training- much less than an MD! We can work in pretty much any specialty but today I’m focusing on urgent care. Odds are you’ve probably been to an urgent care at some point in your life (I definitely did for things like strep throat and sinus infections) because they don’t require appointments and are generally more convenient due to extended hours. On a typical day I will see all types of patients and do various procedures. 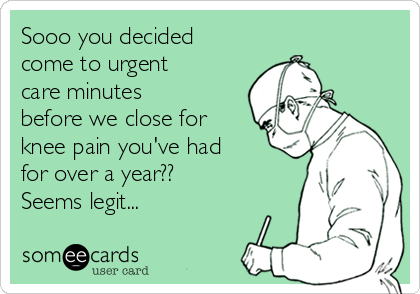 Of course the typical “urgent” things you may think of like ankle sprains, sore throats, flu, rashes, UTIs, STD tests and lacerations. On the flip side I’ve seen many chest pains, a few heart attacks, had people pass out, some serious asthma attacks- things that should have never come to urgent care but we’re here to help the patients get the care they need in the right place. Then again, I also see things like chronic back pain for 6 months… not so urgent. What I really like about urgent care is the variety. Literally there is never a boring day- you never know what’s going to come through the door and that always keeps things exciting. I also like this specialty because of the procedures. I like to be very hands-on and two of my favorite things to do are suture lacerations and drain abscesses and cysts. Yes, like Dr. Pimple Popper! I like splinting fractures and while I don’t deal with any major joint dislocations, I have reduced a dislocated finger before which was gratifying, both for me and the patient! I also do a lot of physicals- school & sports physicals, pre-employment physicals and DOT (department of transportation) physicals. While these may not be as exciting as some of the other things we see, they’re a good way to break up the day from all the “sick visits” and it’s nice to get to chat and get to know a little about the patient. Oh and how could I forget worker’s comp? We have contracts with several companies where if an employee gets hurt on the job, they initially come to our office for evaluation and treatment. We see all kinds of things like sprains, lacerations, eye injuries, back pain, and head injuries. So those are the types of things I see in a nutshell (with lots of random things in between). While it can be a little stressful at times (when we have 2+ hour waits) I truly enjoy my job because I get to do something new every day and am there to help people feel better. Like I said earlier, if you’d like to see any more specific posts about my job OR getting into PA school, let me know in the comments below. I’ve thought about doing a “day in the life” post as well so look out for that in the near future! Hope y’all enjoyed this little glimpse into my career! I have to leave you with this because it made me chuckle… happens all the time! Sounds so hectic but so fulfilling! One of my friends is a PA in the ER and she says the same thing! It’s always interesting to learn more about someone else’s day. My husband is in the medical field and I think he likes the “you never know what the day will bring” aspect as well. Gosh it’s crazy how much I’ve forgotten since I’ve only done ortho for the past 2.5 years. I don’t even remember how to treat common HEENT things ahhh! I bet your job is constantly keeping you on your toes! I have so many friends that work in the medical field in so many different areas and I’m always so fascinated with the stories they tell me. I thought I wanted to be a nurse and made it through my first round of clinicals and switched. My heart just wasn’t in it and it totally has to be. You totally sound like you love what you do and I’m so thankful there are people like you out there! My mom used to work in the ER at our hospital, so I constantly heard stories as she went from room to room during those crazy days. It’s insane how many things go on when you’re a doctor, no matter where you’re positioned. Thank you for providing care to those in need! This cannot be more accurate LOL! I am a nurse and so this post sooo resonates with me!!! I have friends who are PAs and nurses and it’s crazy the things they see on a day to day basis. I love seeing this side of you! This was such a great post! I Love hearing about other people’s jobs that are different than mine! I’d love to see a day-in-the-life post! I’m so happy that you’re enjoying your job! I enjoyed learning about your work and life. It looks like you are truly passionate about what you do. Great post! I think that sometimes people have no idea what is really going on behind the scenes and it’s so great to hear your perspective. Thanks for sharing!